As part of our on-going Teacher Spotlight series, we’re excited to be featuring Anatomy Trains teacher from the UK, Don Thompson. 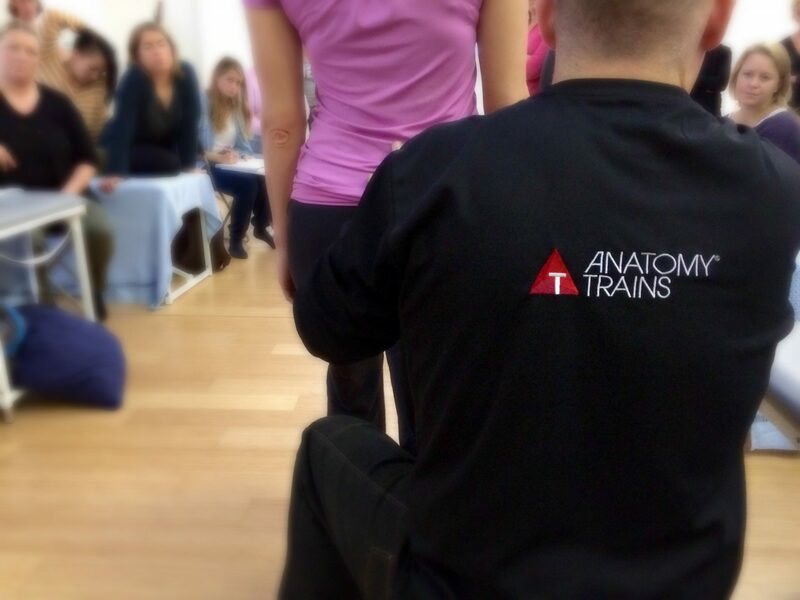 His journey to structural integration and teaching Anatomy Trains is a great read! Don has been involved in the study of the human form for the best part of 3 decades. He draws upon his broad experiences of having formerly been a strength athlete, an adventure-sport adrenaline junkie, and a successful personal trainer as much as from his personal journey through the vicissitudes of life. Along with an extensive education in bodywork and complementary therapies he brings humor, clarity and open-inquiry to his workshops. 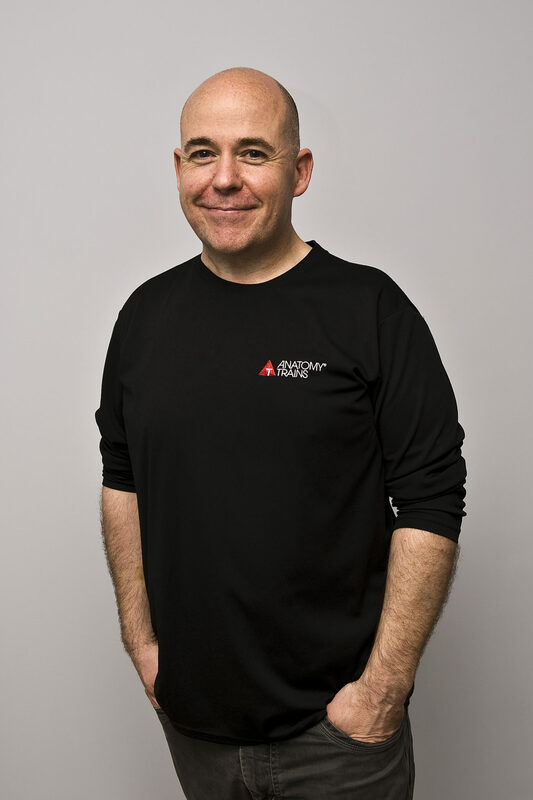 He holds a BSc in Complementary Therapies and Bodywork from the University of Westminster in London, UK and – with his partner, a lymphoedema therapist – lives and works in the Scottish Highlands where they run a small but busy clinic that is run on not-for-profit and community ideals. 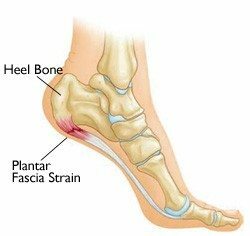 The majority of Don’s clinical work is with people with chronic pain and discomforts that have their origins in work patterns, habits, & posture. He takes a problem-solving approach using Structural Integration, visceral/neural manipulation and movement re-education with the people he works with. 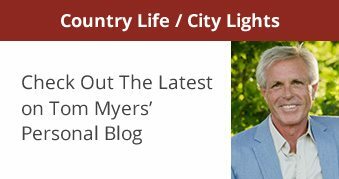 I first met Tom Myers at one of the early Anatomy Trains workshops at the University of Westminster in London, where I was part of the degree programme in complementary therapies with a specialism in therapeutic bodywork. 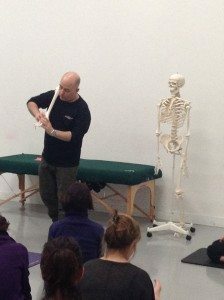 Leon Chaitow, the renowned osteopath who teaches a variety of soft-tissue manipulation techniques, was my senior lecturer. Leon is also the editor of the Journal of Bodywork and Movement Therapies and was one of of the first people to recognise the map and relevance of the Anatomy Trains. Leon thought it would be a good idea to have Tom present at the University and duly sent out an invitation. A few months later, the appointed day arrived and we excitedly went off to hear first-hand from this guy Leon has been enthusing about so much along with this map of interconnected anatomy – little did I know that that day would change my life in a number of ways. I need to rewind a bit here. Some years previous to that I had a climbing fall and quite badly messed up my knee. Long story short, the aftermath required me to spend some R&R time back home with my family where I grew up. We are talking the early 90’s (i.e. before the internet!) so part of my mum’s routine every Saturday was to go to the library in the small town near where we lived. One fortuitous day, she came home with Ida Rolf’s book ‘Rolfing’ that she’d found amongst a pile of other books. I wasn’t in the best of places back then; I was ‘back home’, was taking a long time to heal, had dropped out of my MSc in Exercise and Health Studies and my research in high altitude physiology for mountaineers, and had lost my prime spot as a Personal Trainer in a fancy London health club. I connected with Rolf’s book immediately; many things I had seen in my personal training clients and had no answers for were right there in this fascinating blue book. Quite what Rolf’s book was doing on a shelf in a small library in a town of less than 20,000 people that day, is still a question. I can only think fate determined that somebody nearby needed it! Being injured and in the process of exploring a variety of different therapeutic approaches led me to deciding on a career change and becoming a bodyworker. I initially trained as a massage therapist and that led to a year at an osteopathic school. I soon discovered that the manipulative approach wasn’t for me – the ideas I’d discovered from Rolf’s book kept coming back to me. Visits to the dissection lab were frustrating as we saw only embalmed and prepared forms; all the fascial fabric had already been consigned to the biological waste bin! After leaving osteopathic school, I transferred to the University of Westminster and under the guidance of Leon Chaitow and Mark Gray (a Hellerworker) I soon found my home and my path. Fast forward back to Tom’s workshop at the University – I sat there enthralled. 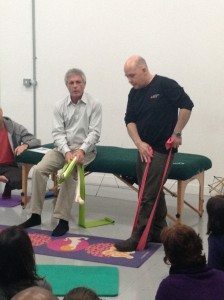 Enthralled not just by Tom’s fabulously engaging and entertaining presenting style but also, the more he unveiled this map of connected anatomy and talked about the properties of fascia and about Structural Integration, the more I knew I had to study with him. And, somewhere in the back of my mind was the embryo – possibly planted by Tom – that maybe one day I could teach this stuff. It took a while, but – finally – and with many years of assisting classes in between – I joined the Faculty in 2014 and have been teaching on a regular basis since then. The other reason that Tom’s workshop changed my life is that it is the day a certain classmate and I stopped being classmates and that person becoming the person I share my life with. In 2003 I traveled to Maine to start my KMI training – but completion was delayed for a few years as a result of some of those awful things that Life sometimes throws our way. At the time, the delay was a huge frustration for me – but with hindsight it gave me time to sit with the work and the various skill-sets required to be an SI practitioner. The hiatus in my training also gave me another blessing – James Earls. I completed my KMI SI training with Tom, James and Larry Phipps and very quickly recognised James’ strengths as a teacher and educator. Within my KMI SI training I experienced a couple of moments that have stayed with me over the years – an idea that the Anatomy Trains concept had more value in understanding movement than was being presented at that time was one of them. The other came out of my wide background in movement; those experiences led me to question what is ‘integration’ – how do we define it, what are the steps needed to achieve it, what does it look like? In recent years, James, as we all know, wrote the book Born to Walk and the ideas and material presented there have, for me, been as valuable to my appreciation of this work as those that I have received from Tom. The notion of the body as a tensegrity structure is, I think, getting more and more accepted in our world but if we take the tensegrity body into movement, we start to see that rather than creating movement, the muscles control it. 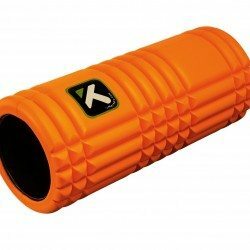 The muscles are fine-tuning the responses, and the myofascial system is what co-ordinates those responses through the various receptors embedded within it … as well as channeling, directing, distributing, transmitting, minimising the forces the system receives, as well as allowing us the potential to capture elastic energy and exploit if for movement efficiency. In order to do that, the understanding of the interplay of the bones, their joints and the myofascial system is key to an appreciation of what integration means and looks like. For me, James’ contribution to our curriculum gives us the tools to help see/feel where that is and is not happening in the system of the person we are working with … and it is this perspective that I most enjoy teaching. I am very much a manual therapist but in recent years I have become increasingly fascinated in how we can integrate manual and movement therapies and how form and function come together. My interest in movement is not the ‘performance’ end of the spectrum … it lies wholeheartedly in what basic essential events and properties are required to be in place for the system(s) of the body to work well and allow our bodies to be efficient at biomechanical auto-regulation … for it is there that we find resilience, adaptability, grace & poise. I am intrigued by the complexity of the 3-D shape puzzle that leads to each of our individual structure and function outcomes. Alongside this lies a passionate interest in the timeline of where we have collectively come from in evolutionary terms, of the individual personal story we each have (I actually wanted to write ‘4-D’ above, as that element of time is important to me) and of the future potential within the transformative process that can occur through the easing of restriction patterns, improved structural relationships and of reconnecting to the inner awareness of the body. 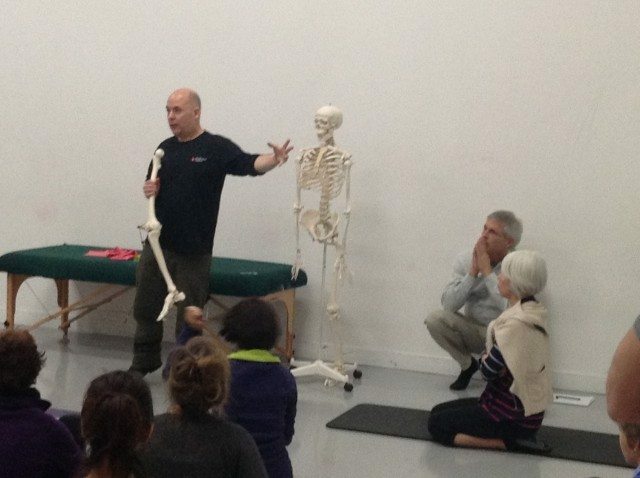 Don teaches Anatomy Trains & all of the FRSB workshops regularly in the UK, Norway and Hungary (amongst other places) and is looking forwards to joining Julie Hammond for the Structural Bodywork Certification Module in Sydney, Australia at the end of the year. Next month he will join Lou Benson and Wojciech Cackowski as part of the teaching team on KMI Part 3 in the UK. Images courtesy Don Thompson.